Fairleigh Dickinson University is a private, coeducational and nonsectarian university founded in 1942.The largest private university in New Jersey, FDU is a not-for-profit, nonsectarian, multicampus institution. 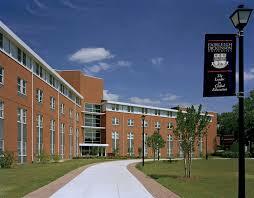 Founded in 1942, FDU achieved four-year status in 1948 and approval as a university in 1956. Fairleigh Dickinson University is the first American university to own and operate an international campus. Application Deadlines Applications for International students will be considered at any time before registration, as long as there are seats available in the program selected. I have great experience. I had so much fun here. Thanks to my father for recommending me this university.